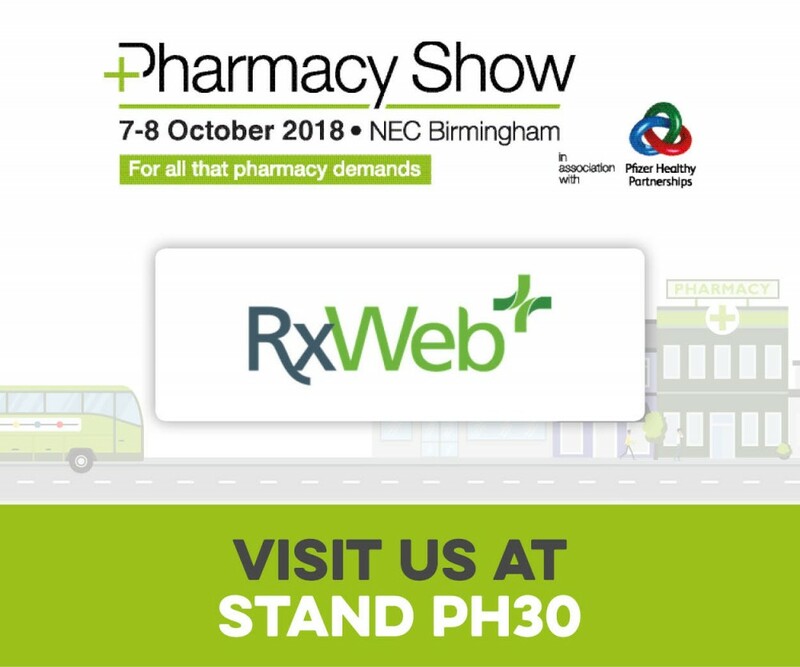 We are happy to announce that the RxWeb team will be exhibiting at this year’s Pharmacy Show. It will be held at the National Exhibition Centre (NEC) in Birmingham on Sunday 7th and Monday 8th October. Every year, the Pharmacy Show has become bigger and we have grown with it through our stand, our team and most importantly, our product. This year is no different as we will be showcasing two new additional products and services. We believe RxWeb is Your Pharmacy’s Foundation, which allows you to run your pharmacy through dispensing, ordering, clinical services and communicating with patients. Over the year’s we have introduced our head office tools, care home dispensing, and hub and spoke tools which has enabled pharmacies to increase cash flow and be more than just a pharmacy that dispenses medication. More recently, RxWeb now integrates with a range of dispensing robots and e-MAR providers, which can help improve efficiency. This is why we are excited to present two new areas of RxWeb: Spectrum and PharmFMD. Spectrum is our new business intelligence tool which integrates directly with RxWeb to provide you and your team with detailed analytics on your EPS claims, dispensed items, stock, ordering, SMS patients and much more. Spectrum is able to create a wide range of graphs and charts that can be filtered to provide the exact level of detail you require. All data can be exported to Microsoft Excel for further analysis and reporting or alternatively you can save your data and reports directly within the Spectrum system. PharmFMD allows you to comply with the new Falsified Medicines Directive law that comes into effect in February 2019. The standalone system can be used by both pharmacies and suppliers within the sector. It connects directly to the European Medicines Verification System (EMVS) to allow you to quickly and accurately verify all medication packs. You can also use the system to decommission and introduce medication as required. We will be releasing more information on these products over the coming weeks and will be demonstrating them live for the first time at the Pharmacy Show. To book a short mini demo with us during the Pharmacy Show click here. We look forward to seeing you on our stand: PH30. 13 Mar Choose the right PMR system for you! 27 Jun FMD - Do you need to sign a new contract with your existing supplier?